Posted on February 27, 2017 by Ava K.
The first season of the new Netflix show, “Series of Unfortunate Events” was released! I will be reviewing the season as well as comparing it to the books, however I will let you know when I will delve into the spoiler sections. Firstly, I would like to say that when I first heard that Neil Patrick Harris was going to play Count Olaf, I was a little nervous. Excitingly however, I think he did a great job portraying him, as he and the character are theatrical. Of the Baudelaire children I believe that Louis Hynes (the boy who plays Klaus) best portrays the character as it is in the book series, however I do like them all. The sets of Count Olaf’s house, Uncle Monty’s House, and Aunt Josephine’s house were all exactly how I had pictured them. Count Olaf’s troop characters including the Hook Handed Man and the Powder Face sisters were all there, as well as a few new characters that have added a more diverse dynamic. The format of doing two episodes to encompass each book worked out quite well. The base plot of the novels was consistent with the series, although there were minor changes and perspectives from other characters which was interesting to see. 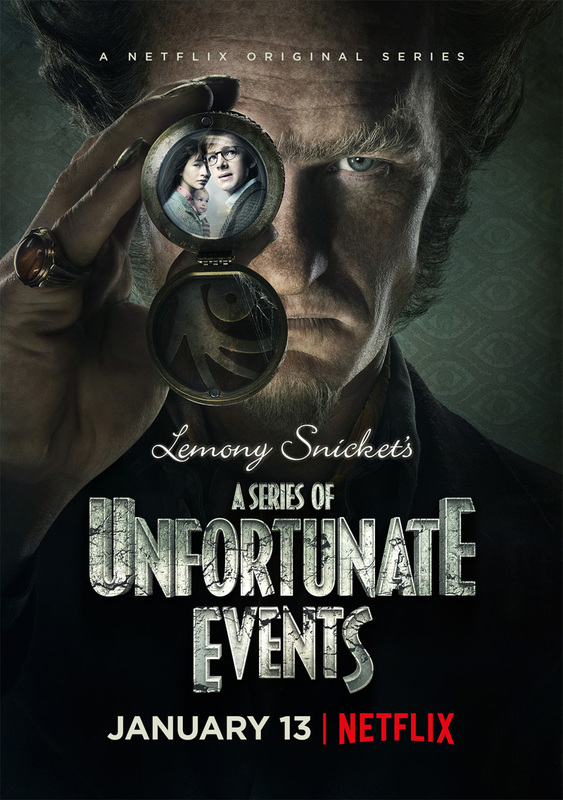 And as a fan of the books, I was delighted to see that Lemony Snicket’s narration of the series and character was included, as he has monologues directed towards the audience. I am happy to see that the creators did not shy away from the woeful darkness the story has, and embraced it instead. This next section will be a SPOILER for the season, so if you haven’t watched it yet please go watch! The biggest plot twist of the season, book fans didn’t expect this either, was the long running subplot of the Baudelaire parents trying to get home to their children. At first I was upset that the creators had the parents remain alive, but then came to terms with the notion that perhaps the creators would kill off the parents before the children ever knew they survived the fire. This concept was actually a theory of the book fans, in which the Baudelaire parents actually survived, but the children never knew, and they did not get reunited. However, as we know from the twist in the finale, the “parents” that were shown were not Baudelaires after all, but Quagmires. I loved that the creators made us believe they were the children’s parents, and in the end show us that they had never specified they were Baudelaires. This creates a smart introduction to the Quagmire twins/triplets, as we already know their backstory. It is a great use of the omniscient perspective that book readers didn’t get to see, creating exciting new details for book readers, without changing the plot. And lets not forget that ending musical scene! If someone had told me beforehand that they would be singing at the end, I would not be happy about it, but it really flowed in an odd and mystical sort of way. So what did you guys think about the adaptation? Let me know! Posted on July 2, 2015 by Sabrina C.
Margo Roth Spiegelman is an independent young woman who makes her own rules in the game of life. She goes with her own ideas and does not take orders from anybody, including her parents. She always plays games with people, running away whenever she pleases and leaving clues for people to find her. It is all a part of this little game she plays with everyone she cares about, making them scared as she has fun. She is so determined to live by herself, the way she wants, so when she runs away again, it doesn’t scare her parents. It just annoys them to the point where they don’t care if she comes back. It’s when she goes missing for more than a few days that everyone starts to think she is not coming back. Her old friend from when they were kids, Quentin, tries to get into the life of Margo. He tries to think like she would in order to find her and get her back, before it is too late. When I first found out about this book, I couldn’t wait to read it. The storyline seemed so interesting to me, that a girl who runs away leaves clues for people to find her. But when I actually started reading it, my high hopes for the book weren’t met. All of the clues Q had to follow to find Margo were very confusing. As the reader, I was very confused and couldn’t figure out how the clues added up to finding her. It was all very complex, and sometimes that’s good when you’re reading a book, to have it be a little confusing to make you think. But this book was so confusing and difficult to read. I wanted to put the book down because it was too hard to think about everything while still trying to enjoy the story. 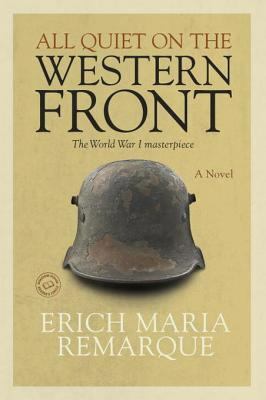 I have heard of other readers loving this book, hanging onto every detail. In the end, it’s just a matter of opinion. Mine may not be the popular opinion, but this is what I thought of it. If you like mystery and adventure, you should definitely try to read this book. While some parts were confusing, some were also pretty funny and meaningful. One of my favorite quotes I will always remember is “she loved mysteries so much she became one”. John Green is a mysterious writer himself, so I do still look forward to reading more of his books in the future. 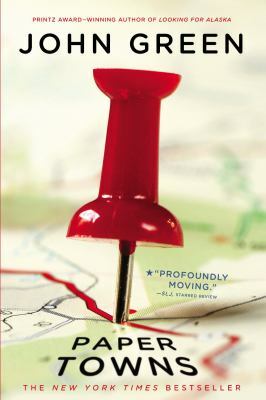 Paper Towns is available for check out from the Mission Viejo Public Library, Overdrive, and Axis360.